Let’s welcome Mr.Maulik in our blog, and learn from his invaluable experience! Before the ecommerce boom, shopping used to be a more personal and gratifying experience. The whole process of “buying stuff” was as important as the stuff you bought. Typically, you would walk into your favourite store, say hello to the store owner or sales assistant who knew you by your name and had an idea of your preferences. They would recommend products you liked and wanted to buy and would relate to you at a personal level that machine can’t. Wouldn’t it be great if you could get the alike experience from your favourite online store, if it treated you as an individual, called you by your name and recommended you products that you wanted to buy? Online, for all its amazing benefits, also has a drawback – it’s impersonal and doesn’t give you the same satisfaction as offline shopping. The good news is, today’s technology is advanced enough to give customers fairly advanced level of personalization. And it can act as a branding tool to distinguish yourself from all the cookie cutter online stores present out there. 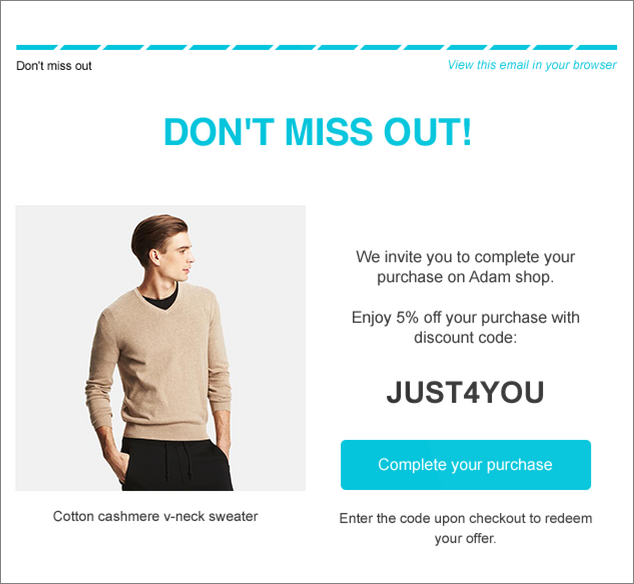 And finally a few examples of ecommerce businesses that are doing personalization the right way. Personalization of online shopping experience through data mining and predictive analytics is critical in ecommerce world. Today, there are ecommerce sites for everything under the sun. There are leaders and followers in every product category. Trouble is, almost all of them feel and look like the same, resulting in low brand loyalty. Customers hop from one store to another depending on which one is running the best discount offer. Branding is all about creating a unique positioning of your brand in the mind of your customers. Your customers should have positive association with your brand name. In a world full of commoditized ecommerce stores, personalization is a powerful way to make your brand register in the mind of the consumers in a positive way and if done right, can convert your customers into loyal fans who will keep coming back and buying from you for a long time to come. 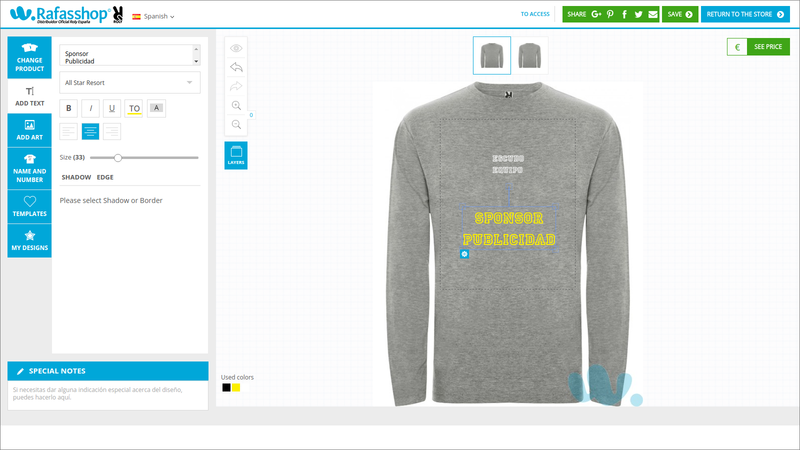 What Can Be Personalized for your online store? There is no end to what can be personalized in ecommerce. Imagine a world where the website you visit greets you by name, knows your preferences and suggests you items you are likely looking for. Once you select any product, it knows your color, size, quantity preferences and does most of your work on the way from adding the product in cart and checking out. Once the product gets delivered to you, you pleasantly find out that it is nicely wrapped up in a packaging you like, along with a message greeting you by your name. But the surprises don’t end there. The website keeps recommending you your favourite products by email whenever there is a deal on offer, remembers your special days like birthdays and gifts you special discounts then. And when you go back to the store, it welcomes you like a friend. The ability to customize product design is a great way to offer a personalized shopping experience. Given an opportunity, all of us would want a product that is unique, something that nobody else has. For example if you have an online fashion store, you could allow customers to personalize some of the items like shirts, trousers and skirts by adding their own designs on their clothes and giving them their own personal touch. Or if you have an online gift store wouldn’t your customers love it, if you allow them to easily personalize their gift items for their loved one and make them “unique”. After all, who would want a unique gift with their name or picture on it? Though not every product can be customized, those that can be like t-shirts, shirts, stationery items, gift items, etc should have customization options wherever possible. This can be easily done with one of the many online product customization tools available in the market. When you visit an online store you almost always have to search for your favourite category or product. What if the home page always showed product categories that you are interested in and usually shop, based on your shopping and browsing history? This can be done with data mining of customer’s store browsing history and using predictive analysis. Personalized product recommendation is a trend catching on fast with ecommerce businesses that have the funds to implement the technology required. The level of personalization possible depends on the algorithms constructed and the amount of customer data available with the retailer. Order shipping is an area that can make or break the reputation of an online store. Most people worry about the product delivery date and whether or not they will be available to take the order delivery. Mere fast shipping is not enough. What if orders were shipped on the day and time you wanted them to? This can be done easily with a delivery date scheduler. This would be particularly beneficial to people whose work takes them to different places and are never sure where they would be on a particular day. If they get to choose their own date and time they can plan their schedule accordingly. With enough data mining and using customer’s details available with you, you can send personalized emails to customers instead of mass mails. Email is one of the most effective tools for the ecommerce industry and personalized emails can make a real difference and make customers 250% more likely to convert. But sadly, most brands fail to use the power of personalized emails. 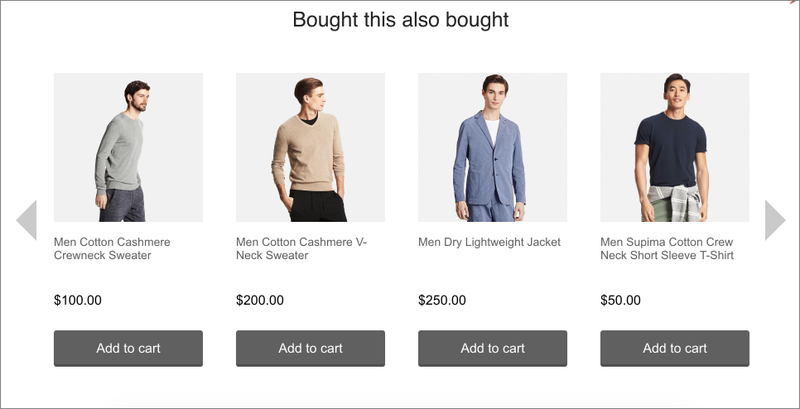 Here are a few examples of established ecommerce brands doing personalization (primarily personalized product recommendation) the right way. Amazon being the global ecommerce leader obviously has a robust system in place to personalize some element of almost every page you visit on the site. Personalization is based on your account details, location details, browsing history, purchase history, items you add in shopping cart or wish list, etc. Amazon also sends personalized recommendations in email. Part of the reason why Amazon is such a big brand today is because of its ability to accurately predict what the customer wants. In 2015, Shop Direct, a UK based multi-brand online fashion retailer created a media splash by launching Very.co.uk, the first ever “fully personalized” homepage. 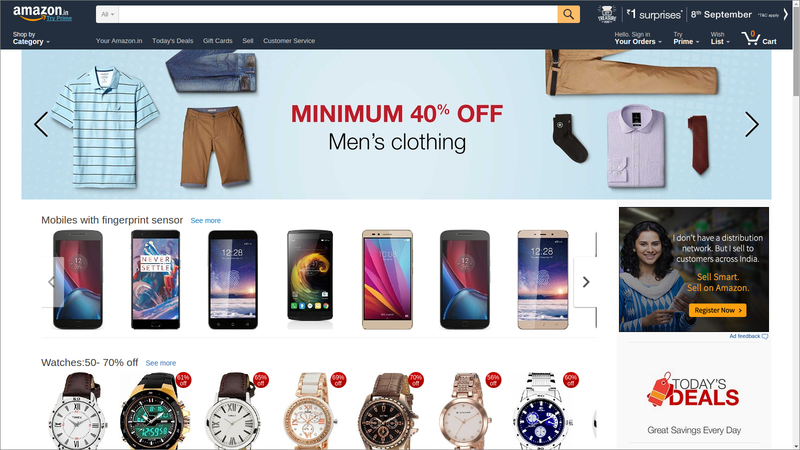 Every logged in customer got a personalized message based on their location and weather and the products shown in the home page was completely customized as per the users buying habits and preferences. The website can deliver more than 3.5 million versions of the home page as per each customer’s data. Data scientists at Shop Direct used complex algorithms to achieve the holy grail of ecommerce personalization. 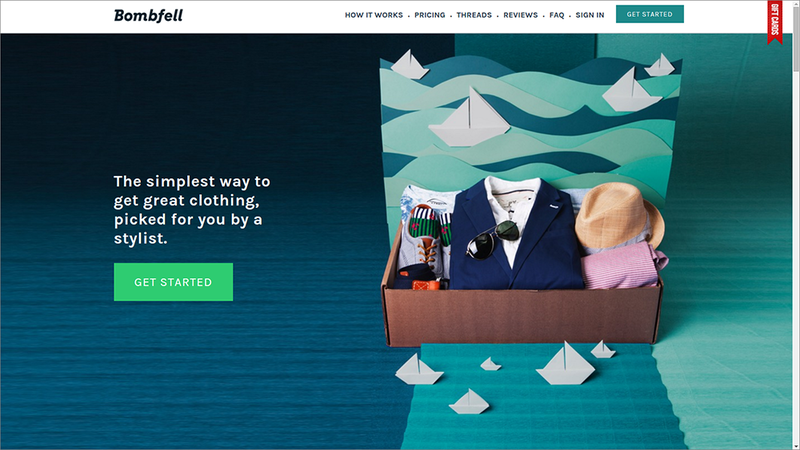 Bombfell is a great example of unique brand positioning by offering a completely customized fashion shopping experience. What is the one thing you are not sure of while buying clothes? Whether or not it will look good on you. What if you had a personal fashion stylist who recommended you clothes based on what would look good on you and what is currently trendy in the market? This is exactly what bombfell does. You just need to provide your size, style preferences, your budget and the items you would like to buy. Their stylists will them get the best match for you and send preview email. Once you confirm the order you get your fully personalized clothing. The ecommerce industry has matured to an extent that online stores have to figure out innovative ways to keep their customers coming back for more and not lose out to a competing store that is giving better discounts. Since everyone is engaged in a pricing war, competitive pricing isn’t a sustainable strategy anymore. In such a scenario adopting one or more of the above personalization suggestions is a great way to distinguish yourself from the herd while at the same time increasing customer satisfaction and loyalty. As technology is getting more advanced and data is becoming more abundant, we can envision a future when ecommerce artificial intelligence makes online shopping experience even more personalized and satisfying than offline shopping. We feel honoured to have Mr.Maulik’s insights featured in our blog, and we are incredibly thankful for the knowledge he has shared with us. About The Author: Mr. Maulik Shah is the founder & CEO of Biztech IT Consultancy Pvt Ltd., one of the leading web based IT solutions provider in India. He is a tech enthusiast and an avid blogger and writes about Ecommerce, CRM and other web and mobile based technologies. Odoo / OpenERP is a suite of enterprise management applications, includes Accounting, Document Management, ECommerce, Human Resources, Industries, Localization, Manufacturing, Marketing, Point of Sale, Productivity, Project, Purchases, Sales, Warehouse, and Website. Cybrosys https://www.cybrosys.com/od… provides Odoo development and customization.